To create an example absence request process-based application, do the procedure in this topic. When you create a new application, the first version is automatically checked in. Log in to AgilePoint NX. On the Application Explorer screen, click Add App. On the Application Type screen, click Process-Based Application. 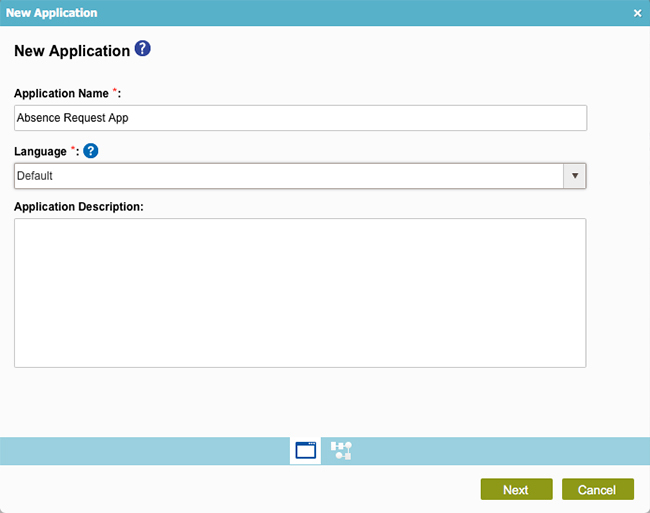 On the New Application screen, in the Application Name field, enter Absence Request App. On the New Process Model screen, in the Process Model Name field, enter Absence Request Process. In the Number of Swimlanes field, enter 0. 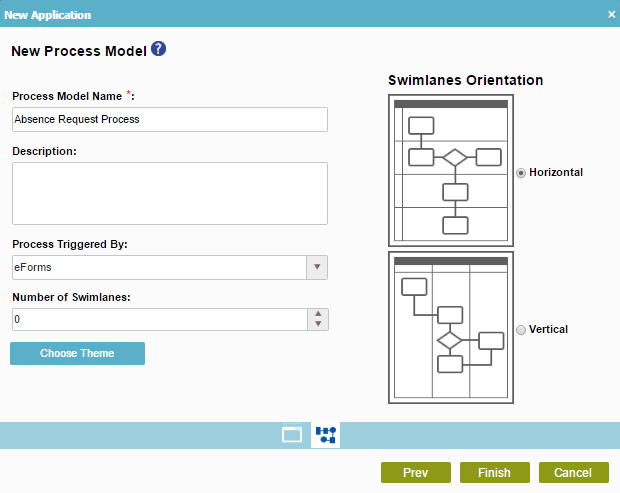 The Process Builder shows your new process model, Absence Request Process.